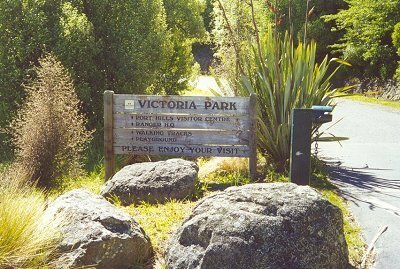 Entrance to Victoria Park (southern Cashmere) with the somewhat ironic greeting: Please enjoy your visit. This is where the murder took place in 1954. 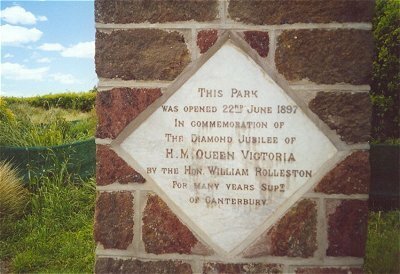 Predictably, the Park gets its name from Britain's Queen Victoria (r. 1837-1901). It was opened on 22 June 1897, exactly 57 years before the murder (on 22 June 1954)! The tea rooms no longer exist. 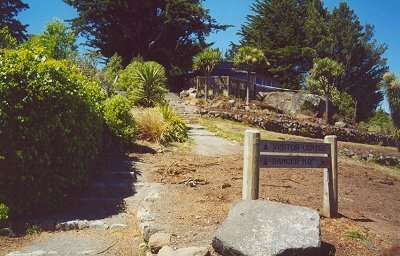 The only buildings these days are a small visitor's centre and a ranger's station.